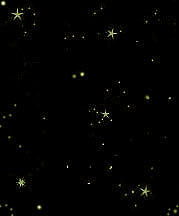 For March 2008 the theme of the monthly haiku thread is stars or constellations. Writers may post an unlimited number of haiku to the Thread. Subject Line: Mar08 stars haiku thread. Deadline: Midnight Wednesday, March 26, 2008. All Haiku received will be posted on-line at March 2008 Stars Haiku Thread. The Sketchbook editors will select their Monthly Haiku Choice from this thread for publication in the Monday, March 31, 2008 Sketchbook.